Welcome to our third Issue (March 2008) of Postgres Online Journal. We folded January and February together because February is a short month and we felt we had already covered quite a bit of ground. This also gives us time to fill March. We have made a couple of changes to the underlying PDF output structure that we would like to cover. We now include Reader comments as an appendix at the end of the PDF version with a Bookmark back to the commented article since it seems people made a lot of useful comments that provided additional information to the topics we discussed. It turns out we have a lot of Non-U.S readers. Our stats suggest US readers make up about 25% of our population followed by Germany, Poland, Italy, Japan, France, Spain, UK, and Canada. I'm actually not sure what paper sizes the other nations use, but we have created an A4 version as well to make UK people happy. In this issue as mentioned we hope to cover creating a lite Representational State Transfer (REST) application to showcase the new Full Text and XML features introduced in 8.3. Someone suggested we create a Java based server version to compliment our proposed ASP.NET and PHP versions since a lot of PostgreSQL users are Java Programmers. It has been a while since we've programmed with Java Servlets and JSP so not sure if we'll embarass ourselves too much by attempting such an example, but we'll think about it. We are looking forward to PostgreSQL 8.3 and have started to test out 8.3 RC2 with our existing apps. So far so good, except for some little glitch we had using PostGIS in conjunction with UMN Mapserver. That particular problem seems to be more an issue with the UMN Mapserver Postgis driver with the way its reading the version number in PostgreSQL than anything else (the RC seems to be throwing it off). This issue only affects our more complicated view-based layers and we suspect will be a non-issue when PostgreSQL 8.3 has a bonafide version name e.g. 8.3.0 instead of 8.3 RC2. Aside from that we have noticed speed improvements among other things. Check out Stefan Kaltenbrunner's Feature Matrix described here and displayed here. It is really quite a useful chart for those thinking of upgrading or wondering why they should or planning to move over from some other DBMS and waiting for a specific feature to be available in Postgres before they can make the jump. The USING syntax is particularly handy because it allows you to control how casts are done. Let us suppose you have a text or varchar field that you realize later on should have been an integer and its padded on top of that because it comes from some stupid DBF or mainframe import. So now you have this field called - fraddl which is of type CHAR(10). You want to change it to an integer. There are two issues you run into. column "fraddl" cannot be cast to type "pg_catalog.int4"
Now with the USING syntax, we can solve this annoying issue with this command. Every once in a while you are tasked with an issue such as having to create logging fields in each of your tables or having to put like constraints on each of your tables or you need to Grant an X group or X user rights to a certain set of tables. The nice thing about having an information_schema is that it provides an easy way to generate scripts to do just that with plain SELECT statements. In PostgreSQL its even easier with the array_to_string functions and ARRAY functions, you can get the script in a single field result. In the following sections we'll demonstrate some examples of this. For example you may decide one day it would be nice to have a date time stamp on all your table records, but you don't want to add these fields to tables that already have them and you are way too lazy to go thru each and every table with PgAdmin etc. to do this. The below code will generate a script to add these fields to all tables in a schema called hr that don't have the add_date field already and once the script is generated, you can selectively cut out the options you don't want. The new ROWS and COST declarations for a function. These can be used for any PostgreSQL function written in any language. These declarations allow the function designer to dictate to the planner how many records to expect and provide a hint as to how expensive a function call is. COST is measured in CPU cycles. A higher COST number means more costly. For example a high cost function called in an AND where condition will not be called if any of the less costly functions result in a false evaluation. The number of ROWs as well as COST will give the planner a better idea of which strategy to use. RETURN QUERY functionality was introduced as well and only applies to plpgsql written functions. This is both an easier as well as a more efficient way of returning query results in plpgsql functions. Hubert Lubazeuwski provides an example of this in set returning functions in 8.3. We shall provide yet another example of this. Server configuration parameters can now be set on a per-function basis. This is useful say in cases where you know a function will need a lot of work_mem, but you don't want to give all queries accessing the database that greater level of worker memory or you are doing something that index scan just works much better than sequential scan and you want to change the planners default behavior only for this function. Plan Invalidation - Merlin Moncure covers this in PostgreSQL 8.3 Features: Plan Invalidation so we won't bother giving another example of this. Basic point to take away from this is that in procedures where you have stale plans floating dependent on tables being dropped by a function, those plans will be automagically deleted so you don't have ghost plans breaking your function. One very useful use case where allowing to specify the costliness of a function comes in handy is in cost-based short-circuiting. By that we mean instead of a standard orderly short-circuiting WHERE condition such as (a AND b AND c) evaluating in order and exiting when it reaches the first part that returns a false, the planner evaluates each based on order of cost. E.g. if evaluating c is cheaper than a and b, it would evaluate c and if c evaluates to false, then a and b will never be evaluated. Prior to 8.3 all internal functions were assumed to have a COST of 1 and regular stored functions COST of 100 where COST is cost per row. This of cause is often not true since for example some operations are faster in plpgsql than sql and vice versa and some other functions are more efficient done in PLPerl and you as a designer of a function know the internals of it and how resource hungry it really is e.g. not all C or plpgsql functions are made the same. The 8.3 feature allows you more granular control of how this cost-basing is done. There are two caveats that are not outlined in the 8.3 CREATE FUNCTION help docs that we feel are important to note since it left us scratching our heads for a bit. We thank Tom Lane for pointing these out to us. Again cost-based short-circuiting applies only in WHERE clauses, not in the SELECT part. To demonstrate the above - we provide here a fairly trivial example that makes clear the above points. -- No cheap or costly functions are run. -- No functions are forced to work in this test. -- no point in processing the functions. --No functions are forced to work in this test. Another parameter one can specify in defining a function is the number of expected ROWS. This is covered a little in Hans-Jürgen SCHÖNIG's Optimizing function calls in PostgreSQL 8.3. We feel more examples are better than fewer, so we will provide yet another example of how this can affect plan decisions. The pgAdmin graphical explain plan shows nicely that a Nested loop strategy is taken. Now we try the same test again after setting ROWS to 3000. 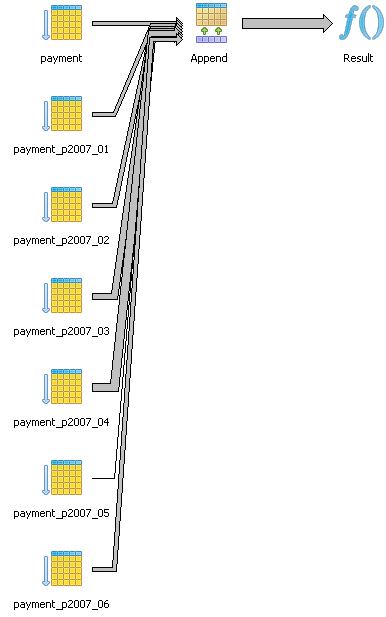 By specifying the rows to a higher value, the planner changes strategies to a Hash Join from a nested loop. Why the hash join performs so much worse than the nested loop and it totally rejects using the index key in this case (even though the rows match closer to reality) is a little odd. Seems to suggest sometimes its best to lie to the planner, which is somewhat counter-intuitive. One of the advantages of writing functions in plpgsql over writing it in say sql is that you can run dynamic sql statements in plpgsql and you can use named values. The downside was that you had to use the convoluted RETURN NEXT syntax which is both awkward and less efficient than the new RETURN QUERY. 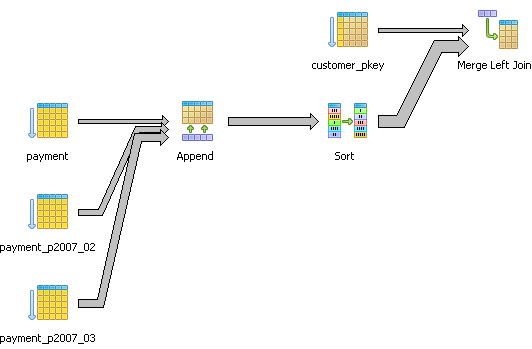 Below are two examples of using RETURN QUERY. There are too many server configuration parameters one can use in functions to enumerate them. To demonstrate how these settings can be done, we revised our prior query and modified it mindlessly. NOTE don't construe any meaning to this function or the settings we chose. It is all in the name of "What goofy exercises can we concoct to demonstrate postgres features". TSearch is a Full-Text Search engine that is packaged with PostgreSQL. The key developers of TSearch are Oleg Bartunov and Teodor Sigaev who have also done extensive work with GiST and GIN indexes used by PostGIS, PgSphere and other projects. For more about how TSearch and OpenFTS got started check out A Brief History of FTS in PostgreSQL. Check out the TSearch Official Site if you are interested in related TSearch tips or interested in donating to this very worthy project. Tsearch is different from regular string searching in PostgreSQL in a couple of key ways. It is well-suited for searching large blobs of text since each word is indexed using a Generalized Inverted Index (GIN) or Generalized Search Tree (GiST) and searched using text search vectors. GIN is generally used for indexing. Search vectors are at word and phrase boundaries. TSearch has a concept of Linguistic significance using various language dictionaries, ISpell, thesaurus, stop words, etc. therefore it can ignore common words and equate like meaning terms and phrases. TSearch is for the most part case insensitive. While various dictionaries and configs are available out of the box with TSearch, one can create new ones and customize existing further to cater to specific niches within industries - e.g. medicine, pharmaceuticals, physics, chemistry, biology, legal matters. Prior to PostgreSQL 8.3, it was a contrib module located in the shared/contribs folder. As of PostgreSQL 8.3 it is now fully integrated into the PostgreSQL core. The official documents for using TSearch in 8.3 are located in Chapter 12. Full Text Search of the official PostgreSQL documentation. In this article we shall provide a quick primer to using TSearch in 8.3. In the next month's issue of the Postgres OnLine Journal we shall provide a TSearch cheat sheet similar to our PostgreSQL 8.3 cheat sheet. While you can still use TSearch without creating indices, for large fields or huge tables it is highly adviced you create indices before performing TSearch queries. Below are the general steps to take to use TSearch. In terms of creating indexes you have the choice of GIN or GIST indexes. Pros and cons are itemized in the Chapter 12. Full Text Search: 12.9. GiST and GIN Index Types. In a nutshell - GIST indexes are better when doing weighted queries while GIN indexes are better for standard word queries and larger texts that don't require weighting. GIST indexes are also lossy and produce more false positives thus requiring rechecking of raw data, but faster to build than GIN indexes. In the above examples we are indexing based on the English language. There are 16 options pre-packaged with PostgreSQL and TSearch is flexible enough that you can define your own custom ones - say catered for certain niche scientific or medical research disciplines. The choice of languages is listed in pg_catalog.ts_config and the default option selected if none is specified is based on your locale. As demonstrated above, you can create an index on a tsvector type column, but that would require creating yet another column and a trigger to update it when data changes. This does provide efficiency of not having to recalculate a tsvector or specify it in your query each time you run a ts query. To not have to respecify it, you can also use a view. Much of this is well documented in 12.2. Full Text Search: Table Text Search. A good example of using Triggers to update fulltext fields and storing fulltext fields is provided in the Pagila database (check the film table) as well as the Full Text Search: 12.4.3. Triggers for Automatic Updates chapter of official docs. There are 2 concepts in TSearch that are most important - The TSearch query condition which evaluates to either true or false and the ranking which is a measure of how good the match is. --We want to check if the provided phrase contains the words dog and sick. --weight the title higher than the summary. highlighting locations of matches with html markup, using the ts_headline function as we have demonstrated above. Gathering statistics about your documents (e.g which words are filler) with ts_stat to better cater the searching to your specific document set. We'll provide more examples in the upcoming cheat sheet. As a side note: MySQL and the major commercial offerings have Full Text Search capabilities as well, but all have different full text search query syntax so there is no real standard one can rely on as far as portability goes. MySQL has integrated FullText search and has for some time, but is limited to only MyISAM tables. MySQL 5.1 seems to have some enhanced features in Full Text Search over prior versions that make it more configurable than prior versions and easier to integrate plugins. SQL Server also has FullText search, but from experience has been always somewhat awkward to use, and it relied on an additional service. The upcoming SQL Server 2008 Full Text search is supposed to be more integrated. Not sure about the other popular DBMSs Oracle, IBM DB2 etc. We are also not sure about the speed comparisons between the various offerings. Osku Salerma's Masters thesis Design of a Full Text Search index for a database management system written in 2006, provides a cursory comparison of how Full Text Search is implemented in Oracle, MySQL, and PostgreSQL as well as a description of full text terminology and indexing strategies and other fulltext non-database search engines such as Lucerne. I think both MySQL and PostgreSQL have changed a great deal in terms of their Full Text Search speed and offerings so applying the comparison to current version of each is probably a bit unfair. MySQL has an interesting feature called Full Text Query Expansion which allows results of a first level query to be used to find other related results. I'm not sure how good this is or if it produces garbage results and not sure if its natural language mode has improved since the above article was written. GIST and GIN indexes have definitely improved so TSearch is probably faster than it was 2 years ago. Robert Treat's PostgreSQL full text search testing PART II - has links to other part. Representationl State Transfer (REST) is a term to describe an architectural style of sharing information with consumers using already existing protocols such as HTTP. In the strictest sense of the term, the transport protocol need not be HTTP. REST was first coined by Roy Fielding in his year 2000 doctoral thesis. Unlike things like Simple Object Access Protocol (SOAP), Distributed Component Object Model (DCOM), Common Object Request Broker Architecture (CORBA), it is not an architecture nor a protocol but rather a style of architecture. As a result, a lot of things that don't call themselves RESTFUL full under that umbrella or use some of the same concepts, or can arguably fall under that umbrella. What is probably so alluring about REST is that it gives a catchy name to something a lot of people were doing already and describes how much of the web operates. Contrary to some popular belief, it is not NEW technology but rather a grouping of mainstream technology with a flashier name. Part of this confusion is that the cult following of REST is a fairly new phenomenon although the underpinnings are relatively old. The REST movement reflects a return back to the basics that prioritizes simplicity and accessibility over complexity and formality. Nowadays REST is most often used to refer to web services where resources are requested via plain URIs and GET requests, representations are returned in simple XML or JSON format and resources are created using POST, updated using PUT and deleted using DELETE HTTP verbs. This is similar to XML-RPC except that XML-RPC has a concept of state and everything is generally encoded in an XML message envelop. XML-RPC also uses POST for both updating and accessing resources unlike REST which tends to use GETS and URIS for resource access. The advantage of using get is that resources can be bookmarked. SOAP is similar to XML-RPC and in fact was born from the XML-RPC standard except the XML message streams are more complicated and formal, but arguably richer in functionality. Contrary to some popular belief, REST is not a silver bullet nor was it designed to be. It doesn't work for all problems and web applications. Our personal opinion: REST is well suited for transporting data that will be consumed by various kinds of clients, but is not well suited for updating of data or where authenticated transactions are needed. 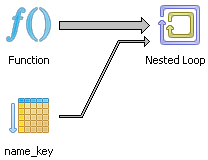 REST has 4 basic features that differentiate/and it shares with similar Architectural styles. Client Stateless Server - As the name suggests - the state of an object is part of the message, and is commonly referred to as a stateless communication. It is not done with things like Session cookies where the server maintains some stateful view of the client and the client passes a session cookie saying (here is my ticket - give me my state). The server does not hold information about state, only the client. Right away one can tell - this can not work for all modes of communication that require immense amounts of state information to be maintained, but does have the advantage of should the application server hiccup or connection to the server times out or breaks only the current message is lost. It also works well for Web-Farms that are simply outputing data since the need for such Web-Farms to replicate state is not needed (think image caching networks such as Akamai). Client-Cache - The idea of client caching. The server can dictate certain requests as being cacheable and if cacheable a client can use the cache request to satisfy future similar requests instead of going back to the server. This saves on band-width but has disadvantage of possibly resulting in stale results. Keep in mind again this concept is not new and most webservers are designed to work that way and pass this info via http headers. Layered System - two way interaction. In a REST style architecture, there is a client and a server. The client is only dependent on the server it communicates with. It has no knowledge of the components the server uses to fulfill its request. That server can be a client in another REST interaction and keep its own cache to serve up like requests. This does not break the client keeps the cache rule as the server is acting as a client in this context. Think DNS. DNS is a perfect example of such a style where intermediaries cache requests for a certain period of time and act as clients to DNS servers further up the root and behave as servers to DNS and client computers below. Resource and Resource Identifiers - REST is predominantly a mechanism for accessing resources although it can be used for editing as well. The key element of it is a mechanism for defining resources, how a resource or grouping of resources are requested via a Resource Identifier (URL or URN), transfer of representation via (HTML, XML, Jpeg etc. ), representational metadata (e.g. media type, last modified), control data (such as how long it can be cached). Yes this is pretty much a common concept in web interfaces. This series will flow into our next issue of the journal since it will be long. Our exploration into REST will have three components. In Part 1 article we will demonstrate setting up the database and creating stored functions to support the service to highlight new features in PostgreSQL 8.3. Keep in mind this is not a pure REST architecture as the connection to the PostgreSQL Server is not RESTFUL. In practice its very rare to have an architecture where every interaction is RESTFUL. We shall be using the Pagila demo database as the backend database. In Part 3 we shall build a simple client to consume our REST Service. We shall demonstrate using Adobe Flex to consume this REST service. If there is enough interest, we'll consider demonstrating other clients such as Silverlight, MoonLight, PHP, ASP.NET, Java clients in a later issue. The Pagila database, for those unfamiliar with it, is a BSD licensed sample database, and one of several demo database for PostgreSQL to show off PostgreSQL features. Other demo databases exist and can be found at PostgreSQL Sample Databases http://pgfoundry.org/frs/?group_id=1000150&release_id=998. The pagila database was ported from the MySQL Sakila database. The Pagila database features a fictious Film Rental company who rents out films with very amusing titles. These films are indeed hard to find. The database keeps track of things such as what films are available in its inventory, film categories, actors, list of customers, orders placed, items ordered, payment, store locations. Basically everything that a respectable film rental business should keep track of. In this section we'll go over creating the views and stored functions that our REST Server service will rely on. Our REST service will be a thin wrapper around a pgsql function that accepts film queries and returns results in XML. Note:For windows users - psql is usually located at "C:\Program Files\PostgreSQL\8.3\bin\psql"
psql -h localhost -p 5433 -U postgres -c "CREATE DATABASE pagila ENCODING 'UTF8'"
psql -h localhost -p 5433 -U postgres -c "CREATE ROLE pagila_app LOGIN PASSWORD 'pg@123'"
psql -h localhost -p 5433 -U postgres -d pagila -f "pagila-schema.sql"
psql -h localhost -p 5433 -U postgres -d pagila -f "pagila-data.sql"
We are creating a view to make querying the data easier, but we don't need to give our pagila_app account rights to the view since all access will be thru our stored function. The view is mostly there to provide a namespace for the XML output. Now we shall write a stored function that takes a search criteria and returns an XML result. Note that we are designating the function is accessed with SECURITY DEFINER which means the executer of the function has all rights to items used within the function as long as the creator of the function has rights. Keep in mind we didn't really think long and hard about how to do this efficiently so our implementation of converting to Tsearch format is probably highly inefficient and is a brain dead implementation of converting a simple search phrase into suitable Tsearch format. Feel free to comment as to a better way of doing this or bash us for our stupid implementation. We'll try hard not to be offended. In the next issue we will cover consuming this via a .NET REST Service. We will show both C# and VB.NET implementations which are compatible with Microsoft.NET ASP.NET 2.0 as well as Mono.NET 1.2.6 (C# and Mono Basic).